How Long Would A Final Fantasy VII Remake Take? 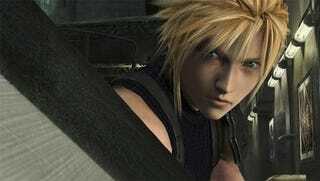 Final Fantasy XIII director Motomu Toriyama wants to remake role-playing game Final Fantasy VII. FFVII character designer Tetsuya Nomura doesn't think it'll happen any time soon. What about the company's president? According to Square Enix honcho Yoichi Wada, they are often asked about a Final Fantasy VII remake. It took Square Enix between three and four years to get recently released Final Fantasy XIII to a high level of quality. "To get FFVII to something like FFXII," the exec tweeted, "it would take ten times as long". It would take somewhere between 30 and 40 years to remake Final Fantasy VII? Surely, Wada is being flip! He does add that because it would take so long, the circumstances for a remake are difficult. However, this is request Square Enix often gets, so the company isn't simply blowing off the idea. In 2006, Square Enix released a "technical demo" depicting Final Fantasy VII as it would look in the PlayStation 3. The game was originally released on the PlayStation 1 in 1997.